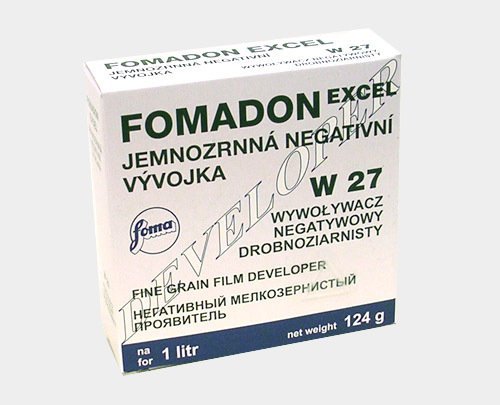 FOMADON EXCEL is a two-component, powder type of a slightly alkaline developer, based on the advanced formula with new developing substances. It is designed for manual processing of all types of black-and-white negative films and ensures high reproducibility, stability and tolerance to variations. It yields fine-grain negatives with excellent sharpness, enhanced resolving power and distinct drawing in lights aswell as in shadows. It is supplied in packaging to make 1 litre of working solution.